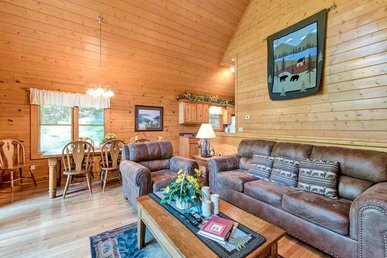 Dreams and Streams is one of the finest cabin housing units for people who are looking for a nice, quiet, and private place to spend their holidays in. 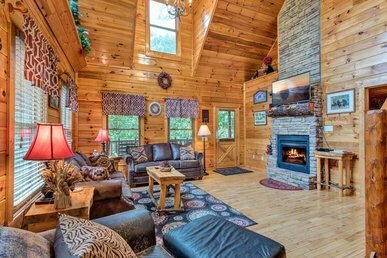 This tree house cabin located in Pittman Canter Tennessee has been updated and made available for rent on December 2016- making it the perfect place to spend your holiday season with family, friends, or pets. 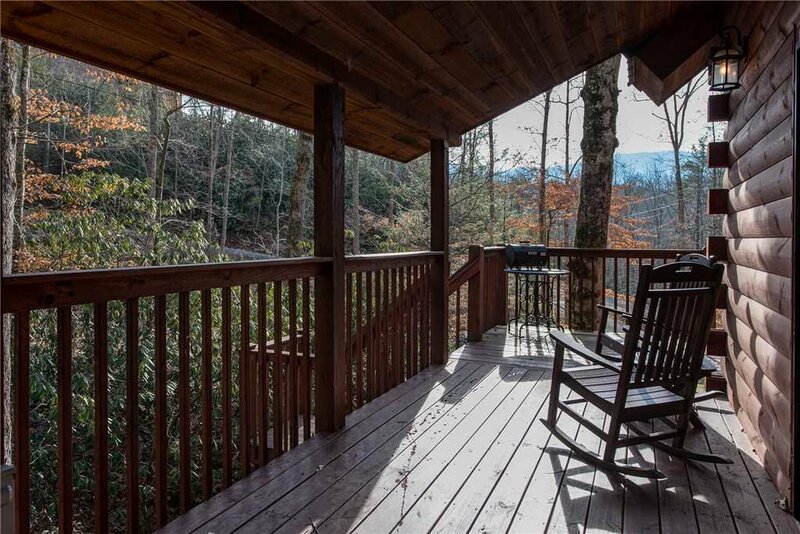 Go deep into the Pittman center mountain woods and cross a bridge connected to the cabin to enter this lovely and well-secluded cabin. 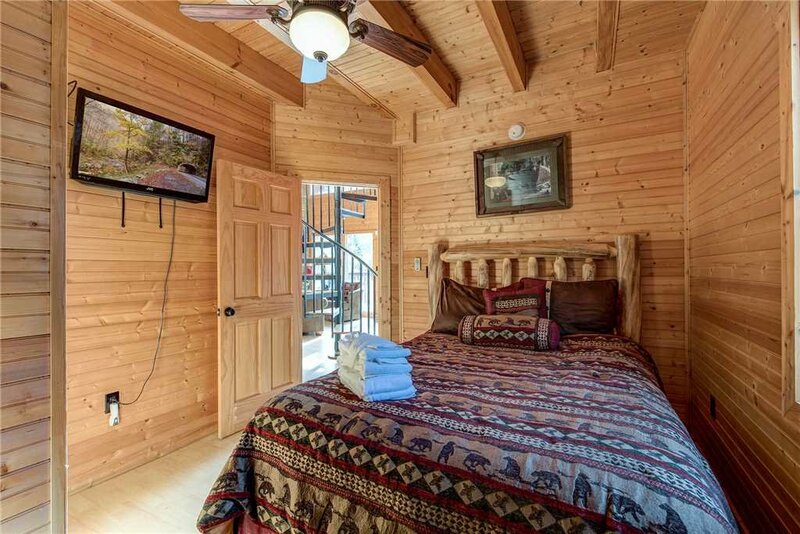 Outside, you will get a clear view of big trees that keep the cabin well hidden and a stream that pours silently ensuring that you sleep soundly in any of the bedrooms. 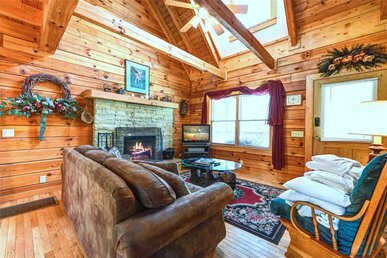 Inside the cabin, you will find a cozy living room with all the appropriate furnishings and lightings where you can snuggle up and watch a movie with your friends and family, or simply just sit in front of the fire and have a nice chat. 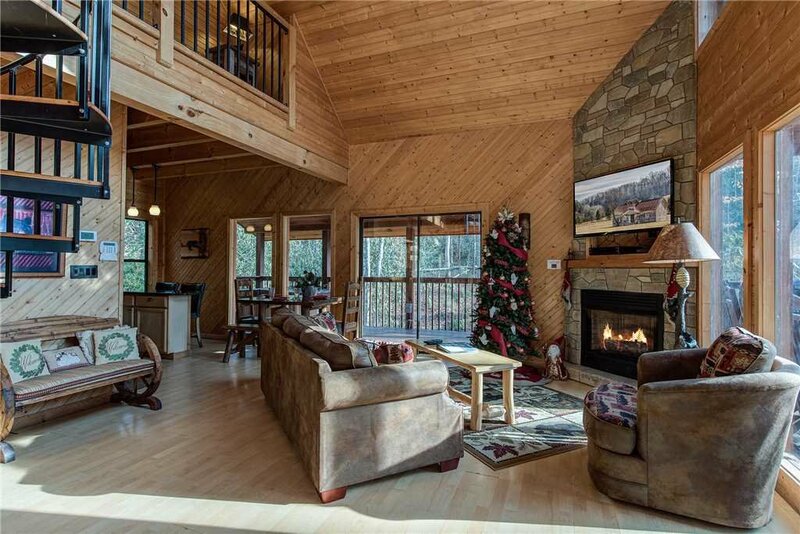 The living space itself offers the best when it comes to style, comfort, and layout together with warm wood finishing, open floor plan, and a beautifully designed staircase. The view of the staircase leading to the upper rooms is gorgeous making it a great place to get together and take a group photo. 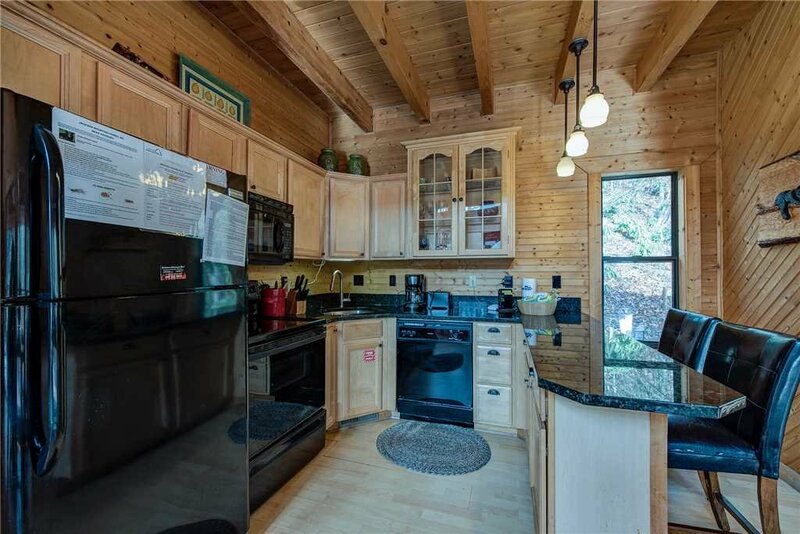 The kitchen is very well detailed, cozy, and convenient offering plenty of room. From coffee makers to deep fry ovens, and from a set of knives to all types of glassware, everything you will need to prepare a decent meal is available. 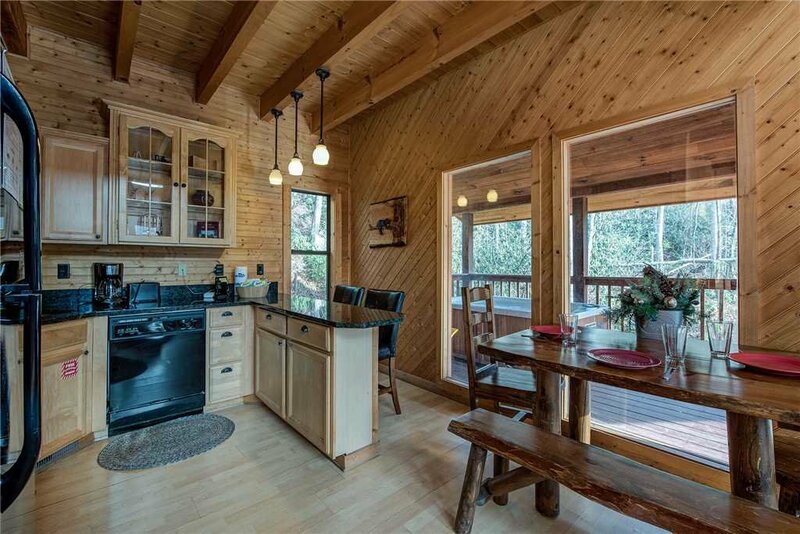 The wood finishing on the preparation table around the sink is smooth and strong with an extra counter space that gives more room for others to help out during the meal preparation and a nearby dining table with four seats that can be used to take meals. The location of the dining table also provides a gorgeous view of the outside environment giving you something to look forward to after you are done with your meals. 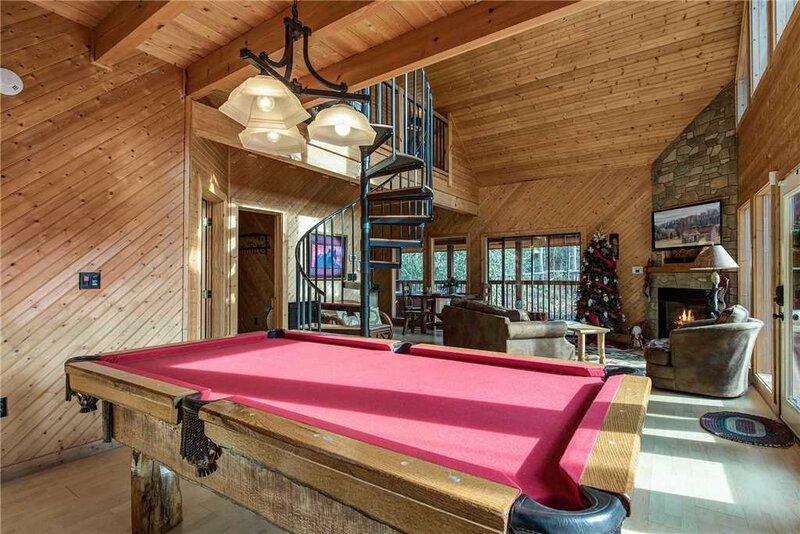 During cold weather or after dark, this indoor gaming section will keep you busy and engaged. 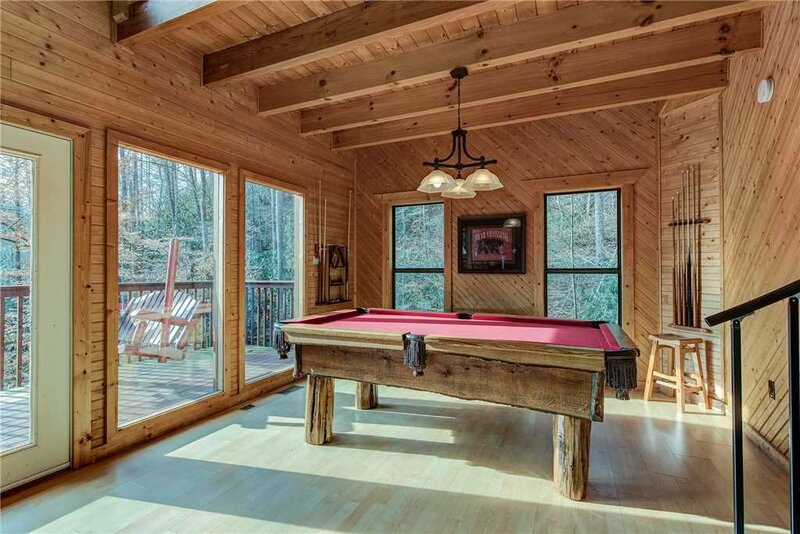 Whether you prefer to play arcade games or pool games, the Dreams & Streams cabin has you completely covered. Enjoy a nice game of 8 ball at the pool table with friends or family while waiting for your meals to be prepared or before you go to bed. The pool table itself has a unique wood finish design that makes it look absolutely gorgeous while remaining strong and sturdy. 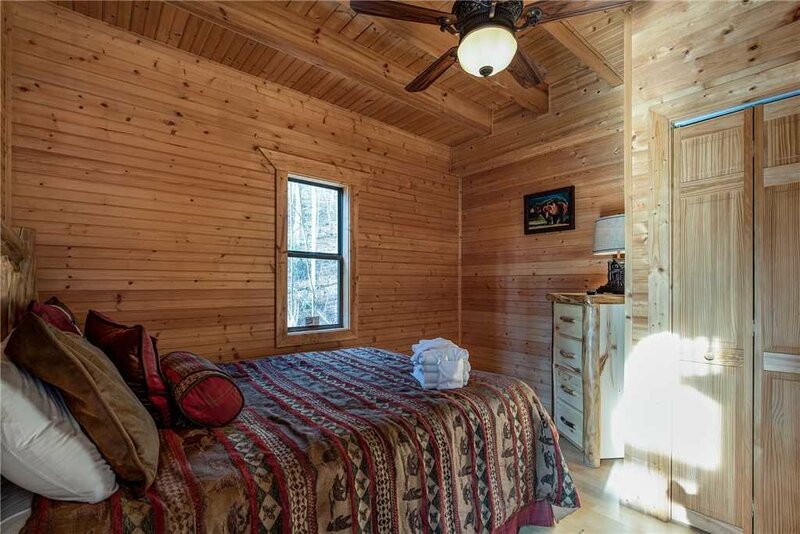 The Dreams and Streams cabin features 2 bedrooms, one of which is a king sized bedroom mainly designed for the main couple, the other is a mountain country queen bedroom spacious enough for a secondary couple or children. 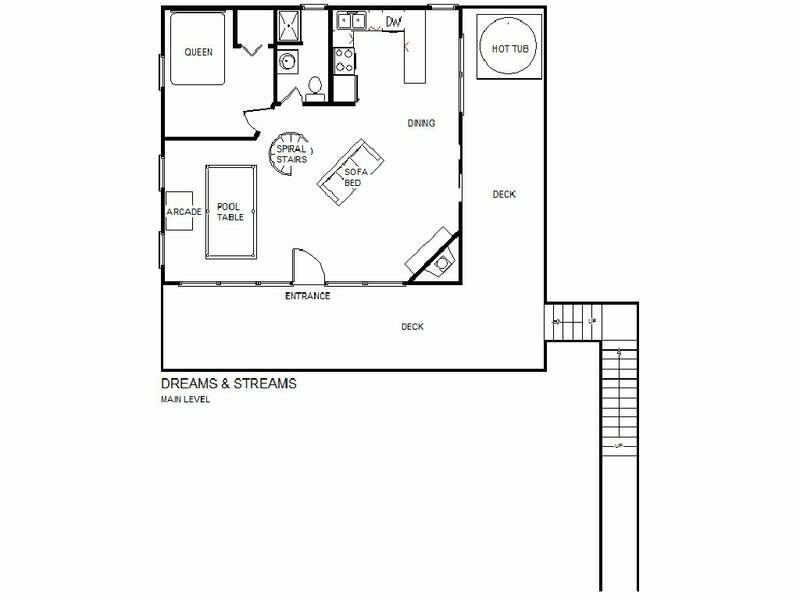 Both of the bedrooms make excellent use of their unique space ensuring that you remain cozy and sleep soundly during the night. 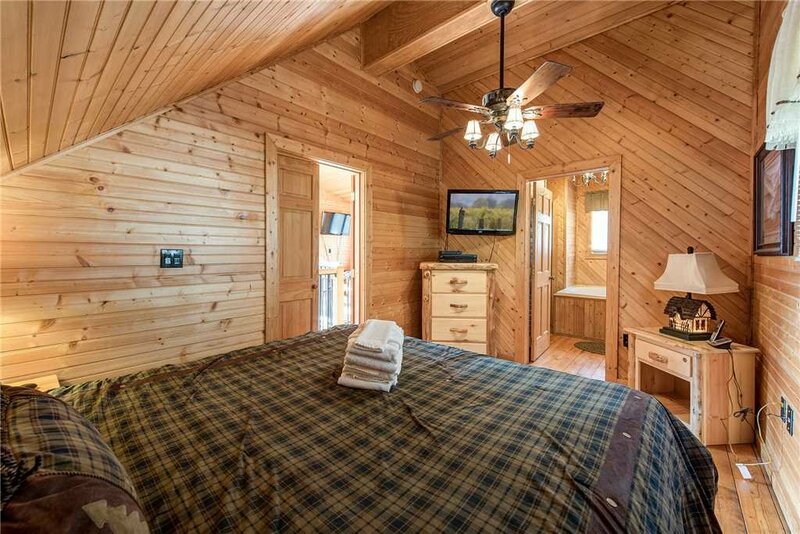 The king sized bedroom suite also has in it a flat panel TV and an en-suite bathroom. 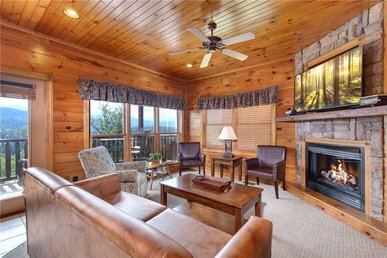 The mountain country queen bedroom is complete with well-polished wood details making it a great place to spend the night in. 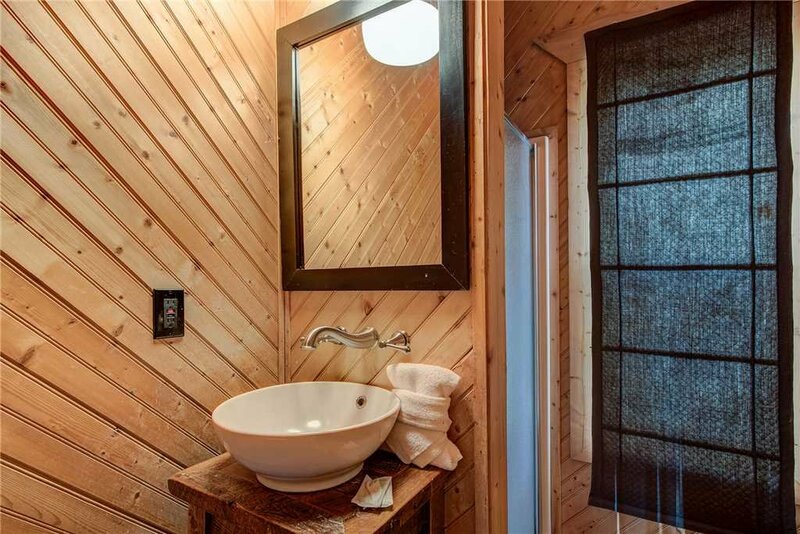 The main bathroom has been fully detailed and features a stand-up shower and a large jetted tub especially made to give your body a calm and relaxing feeling after a long day of hiking or other physical activities. 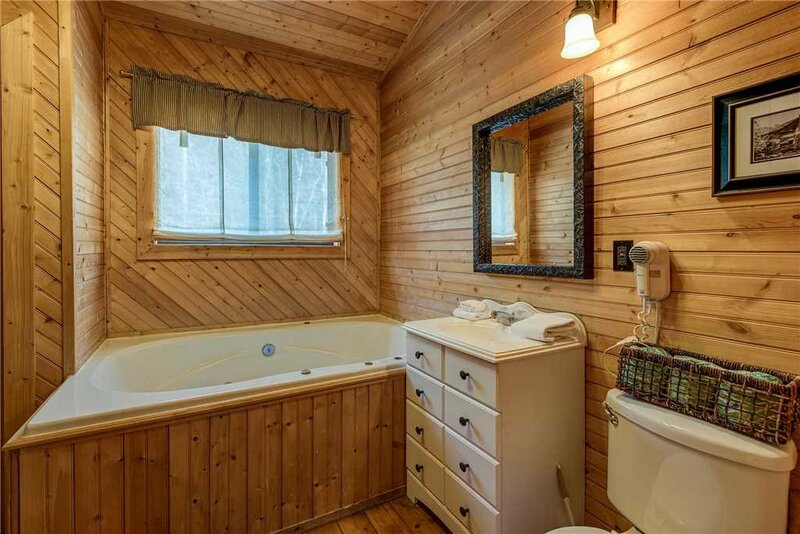 The whole bathroom setting will make you feel as if you are in your own private spa in the mountains. The loft balcony located on the upper side of the cabin features large and beautifully designed windows that accent the loft so well making it a perfect place where you and your partner can enjoy a romantic evening as you step out to get some fresh air and gaze at the stars or just enjoy a cup of coffee in the morning with a beautiful view of the nature that surrounds the cabin. 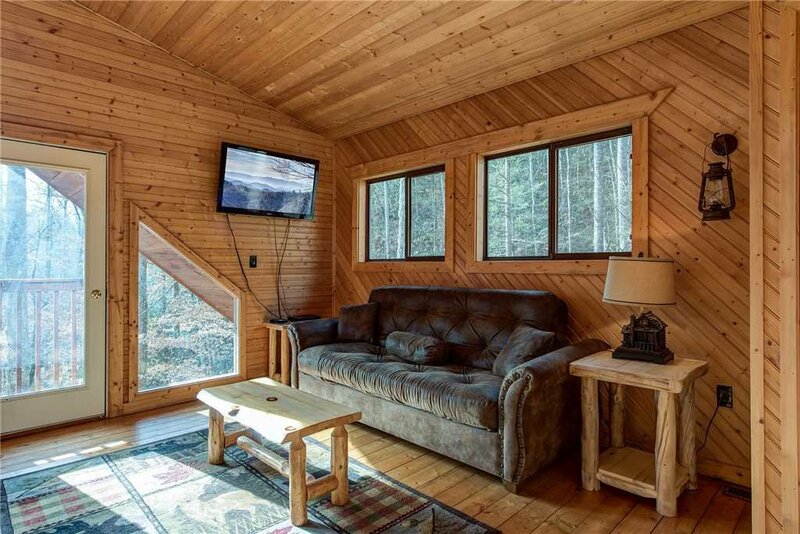 This extra living space available on the upper side of the cabin next to the balcony is a great place to just cuddle up alone and watch your favorite shows and can be used as extra sleeping space for your children who can spend the night on the pull out sleeping sofa. 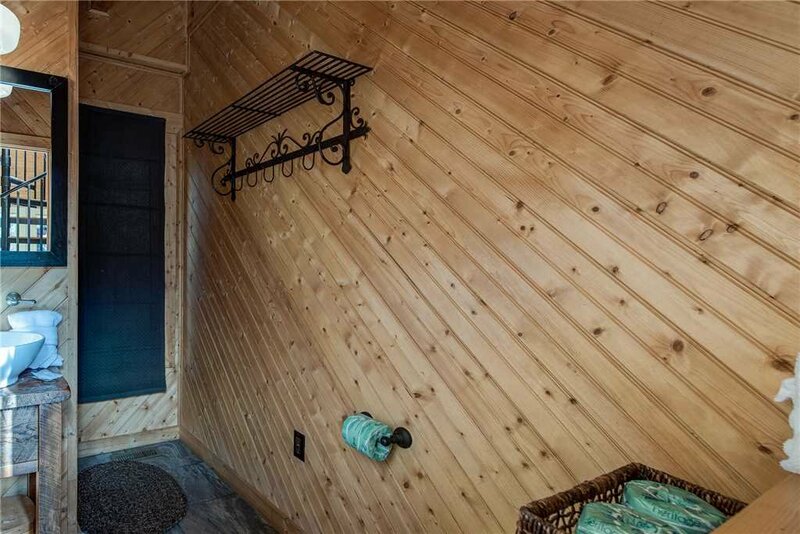 This wrap around style deck space that is fully complete with rockers, a deck swing, and a steaming hot tub is a great way to spend an afternoon with your family or friends. 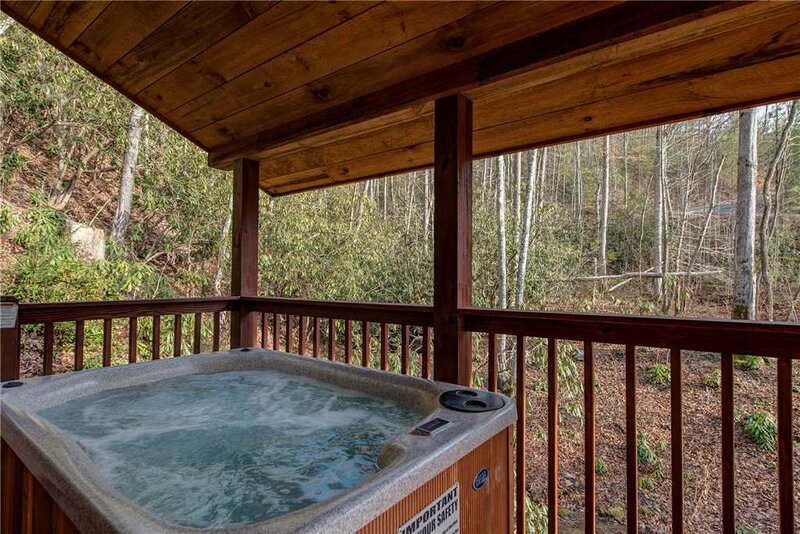 Simply soak away during morning or evening inside the amazing bubbling hot tub or just have a nice time chatting outside as you enjoy the gorgeous view of the mountain. 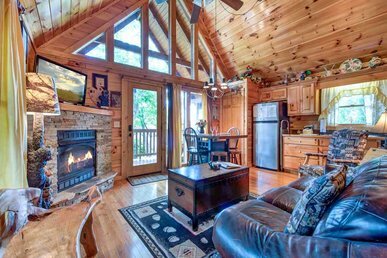 Dreams and Streams have all you need to enjoy a peaceful and relaxing vacation without ever leaving here. 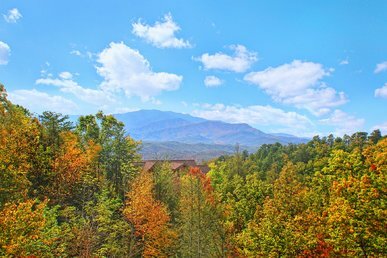 However, should you want to explore the area, Gatlinburg and Pigeon Forge are packed with things to do. 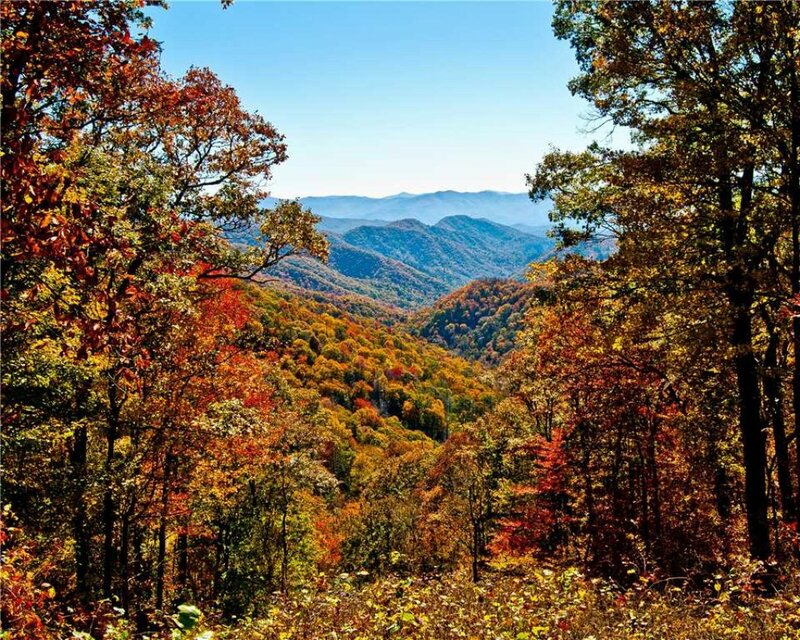 From hiking a mountain trail, to skiing at Ober Gatlinburg, visiting theme parks, music revues or shopping centers, one thing you’ll never do is run out of things to do here. 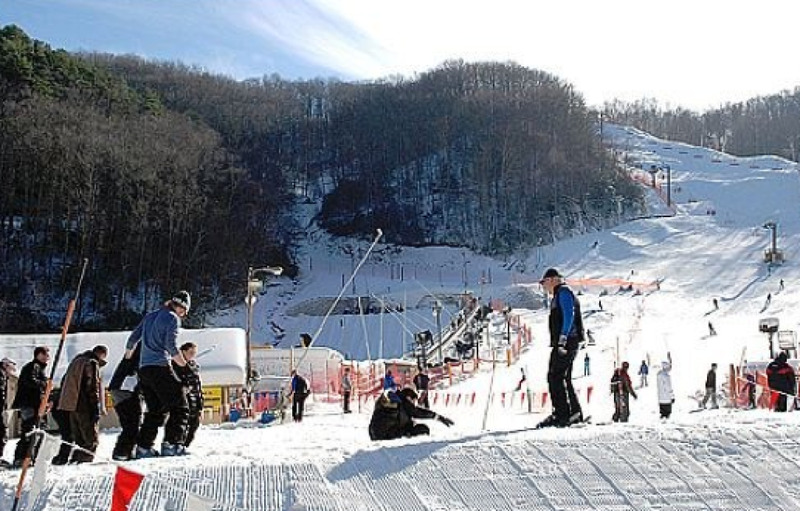 Make sure you check out things to do each season of the year! 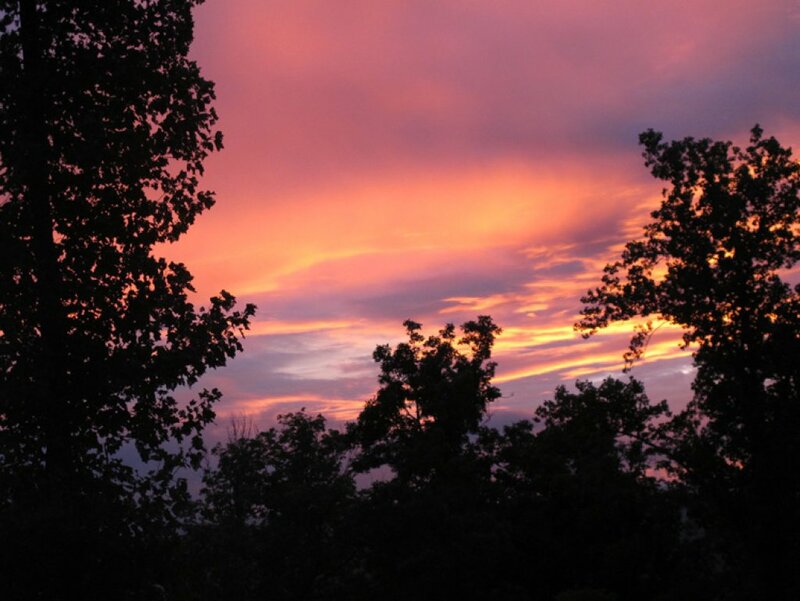 Spring time here with the appearance of new foliage, summer attractions, and events, fall changes of colors and winter skiing, book a vacation each season. Book Dreams and Streams now for the vacation you’ve been waiting for! Not as big as the pictures make it seem but beautiful. 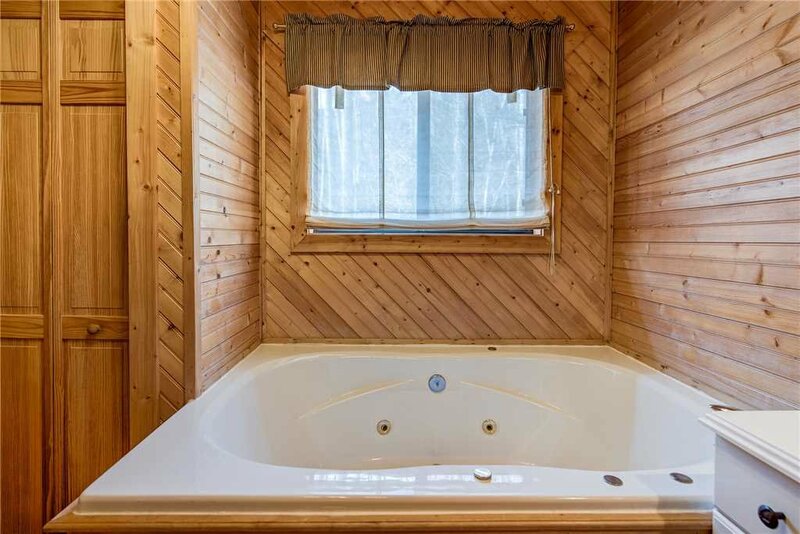 We traveled as a couple and sitting in hot tub listening to the stream was amazing. Had no problems. 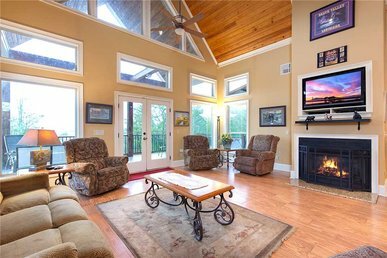 Has blu Ray players to watch movies by the fireplace. Not a bad view. Would go back. 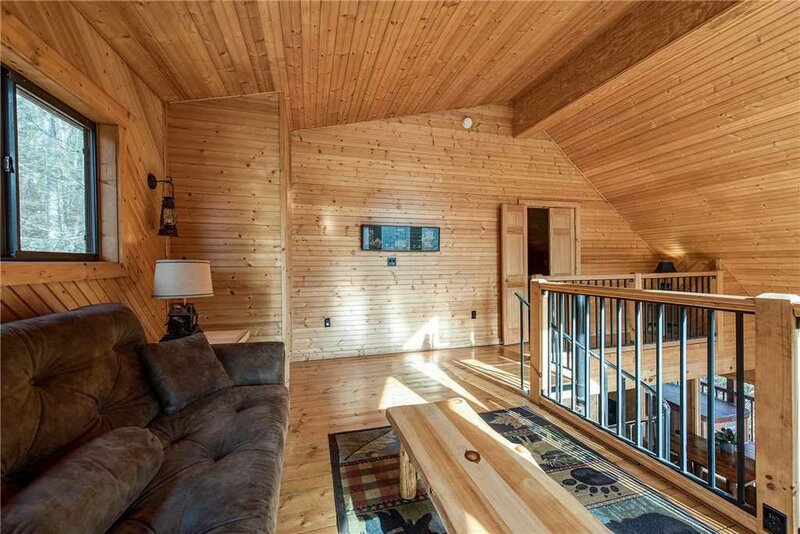 The cabin is beautiful and comfy. I only give four stars because maintenance took a couple days to come and fix the washing machine and dryer. I would stay again. The showers are very small and no lights in the shower. They had rugs in the cabin they stunk very bad, the cabin needs brighter lights in it the bed is very noisy, the couch is wore out, the cleaning crew could do a better job of cleaning the cabin I cleaned upon my arrival the showers had mildew in them. I just think it needs better maintaining. 5 light bulbs didnâ€™t work. For what your paying I feel like it should be better. It was very nice, mostly what was expected. A bit smaller that pictures made it look and we missed having the view that thought would get. 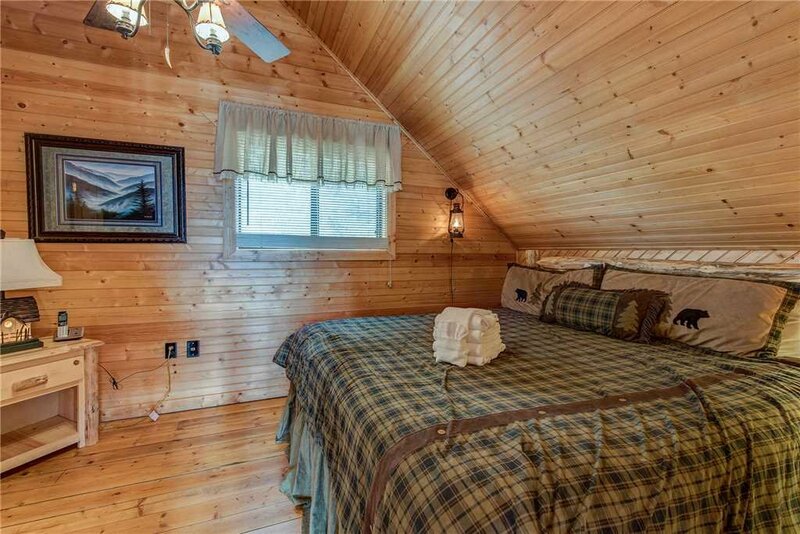 The bed upstairs was big and that was nice but wasnt all that comfortable for us. But in yalls defense, we rarely sleep well at places other than home. 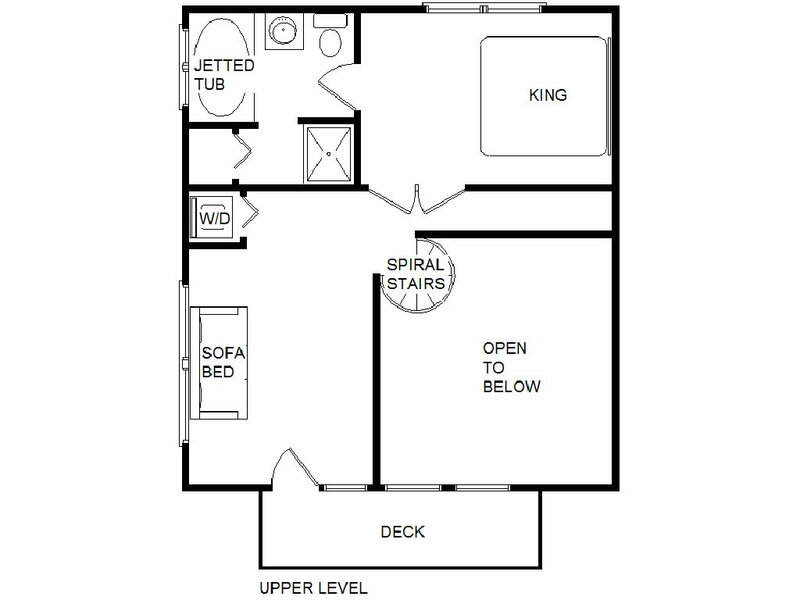 I will say tho that the pullout in living room was pretty bad, it was our young adult kids who slept there, she said it was awful, course most all pullouts are I would think! Overall, everyone enjoyed the stay. I was thankful that I was able to cook meals in the kitchen with the cookware provided also! 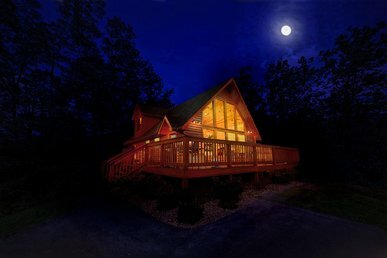 BTW this was our first cabin rental experience for our whole grown-up family.. very memorable for all! Check in and Check out was very easy all done by using the App. 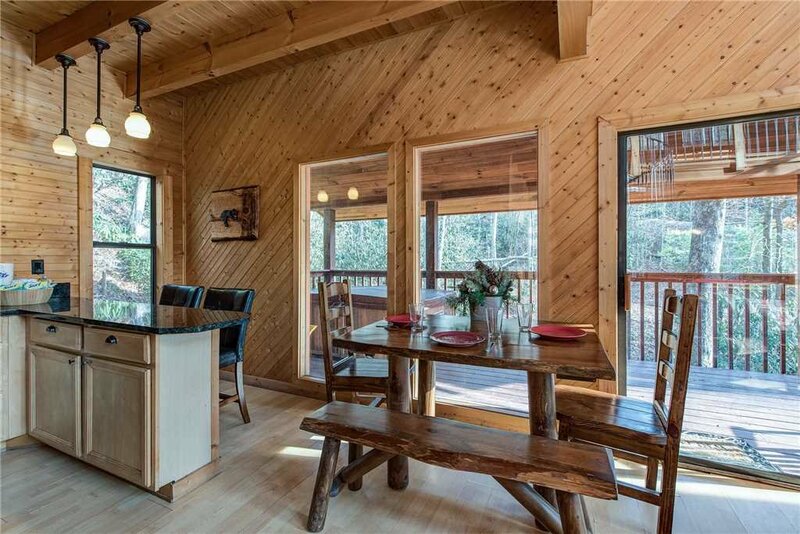 Cabin was nice and easily accommodated the 2 couples. 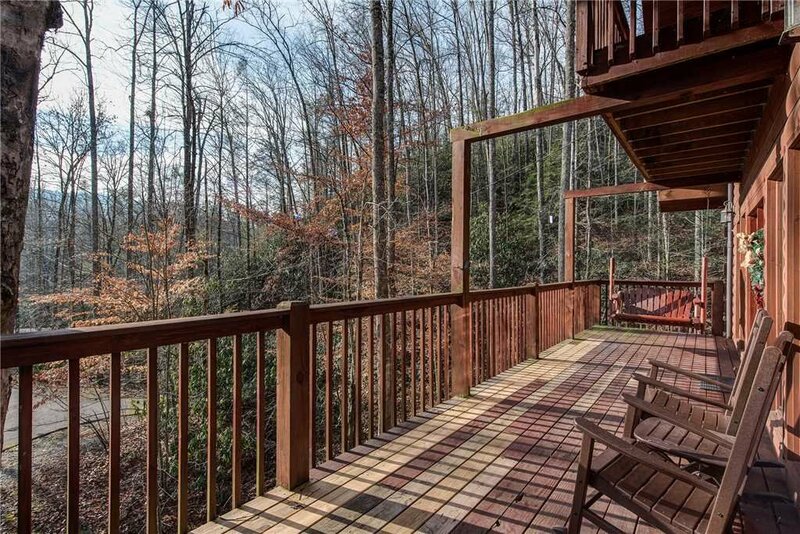 Deck had nice chairs and plenty of space to just relax and enjoy the woods. This was my new family\'s first trip together with hopes to help our new blended family adjust to each other and open up more. 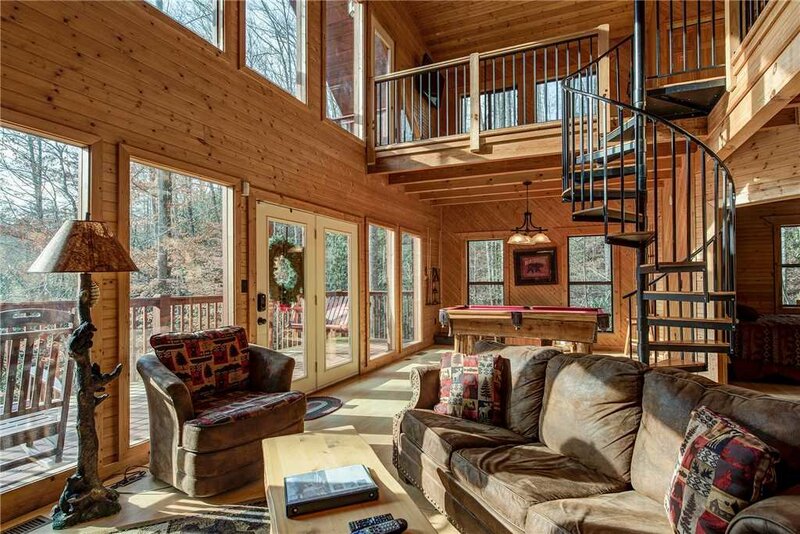 We loved this cabin as boys had fun playing pool together. We enjoyed the Hot tub. It had enough space for them to have their own area but also gave them activities to do together. 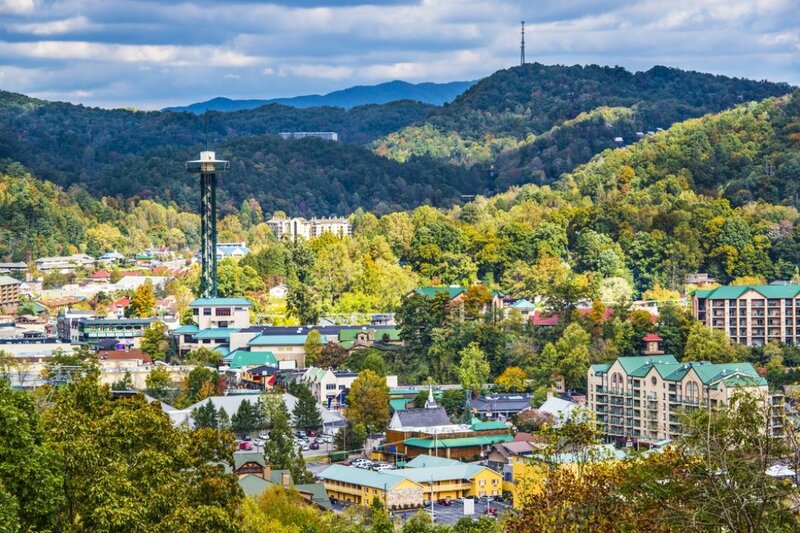 Gatlinburg has lots of nice shops but very pricey especially parking. Pigeon Forge much better as lots of shops more for our budget and free parking! We did many fun things and many we didn\'t get time to do, but boys enjoyed the NASCAR track over in Sevierville best! The only complaints we have are minor. A/c unit filter was over a month old and completely nasty. Remote batteries dead, they quickly replaced some and then that night other remote died so we replaced. 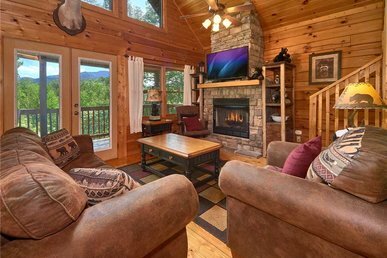 We also would have liked one of cabins with better view of mountain! 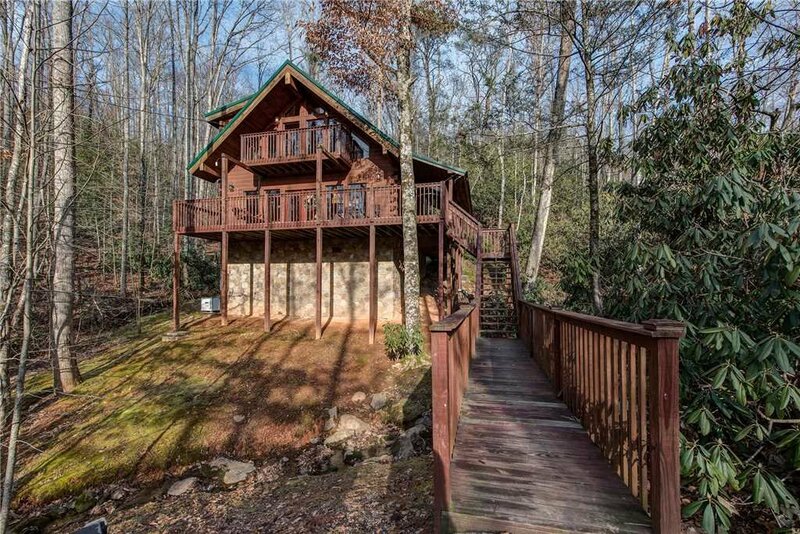 I would go back to this cabin or any of the other cabins JMH owns!